Our Legal Experience: The Gold Standard In OVI DefenseAn attorney’s reputation, knowledge, and experience are crucial to getting the best possible outcome for YOU. If you are like most of our clients, you never expected to be in this situation. You are a good person and you try to obey the law. Yet you find yourself accused of a crime that could ruin your life and your future. You know you need a lawyer …. preferably a really, really good lawyer. A friend or another attorney may have referred you to us. 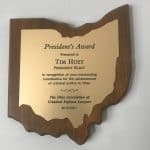 You may have been told Tim Huey is the best Ohio DUI lawyer, you should hire him and his firm! Does that mean you should hire us? There are at least more important steps you should before hiring any attorney. Step 1. Research us or any lawyer or firm you are considering hiring. We know you have a court date coming up quickly, but you do have time to research the background and frankly you would be foolish not to. You need to know about the lawyer’s Reputation, Knowledge, Experience, and Qualifications. Scroll down for information about how to assess these qualities and things to be wary of when reviewing a lawyer’s web site. If you research us, you will find out why it has been said that we set the Gold Standard for Ohio DUI Defense. Step 2. Call us and arrange time to talk to our lead OVI attorney Tim Huey or our associate attorney Blaise Katter. Once you have researched a lawyer or firm, it is important that you have an opportunity to really talk to them about your situation. This is also the final part of your research. Don’t just go by what you read on this or any other lawyer’s website. Do not hesitate to Google the lawyer and look at other outside sources. If you contact our office, we will set a time where you can speak to Mr. Huey, preferably in person – often Mr. Katter will meet with you as well. We will take the time needed to fully discuss your case and your unique questions. We are more than happy to discuss with you our experience, training, and expertise, and to provide documentation of our training. Our expertise should be pretty obvious as we answer your questions. 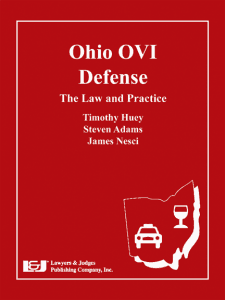 The defense provided by the Huey Defense Firm has been called “the gold standard” for OVI defense in Ohio. 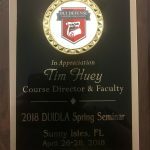 That may just be a matter of opinion, but we presume this assessment was based on the experience, expertise and knowledge the firm’s founder, Tim Huey, has amassed in over thirty years in practicing DUI defense and leading the Ohio DUI defense bar. There are few, if any, Ohio lawyers who match Mr. Huey’s credentials. Mr. Huey is the lead trial lawyer in our firm. 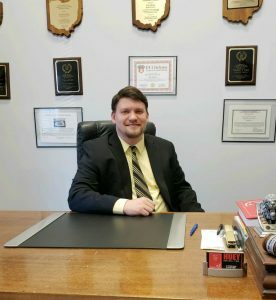 Associate attorney Blaise Katter works very closely with Mr. Huey and generally they both will be involved in most cases. Our lawyers are proud of the training, experience, and recognition they have received. Review Mr. Huey’s credentials, and Mr. Katter’s credentials. Both Mr. Huey and Mr. Katter are viewed as authorities on Ohio OVI law and both are published authors on OVI related topics. If you are reviewing this page to decide whether our firm is right for you, you are likely asking yourself a number of questions. We have tried to answer some of those below. How can I find the best Ohio OVI lawyer for my case? If you are looking for someone to represent you in a DUI case or against charges brought as a result of an accident you are likely wondering: how can I tell who would be the best lawyer for my case? You probably already know the answer to that question — you will want to first look at the lawyer’s qualifications, including their reputation, knowledge, and experience. You also want an attorney that’s best for the facts of your case, who has all the tools in the arsenal to customize the OVI defense to YOUR specific needs and interests. The State will be using literally everything they have as evidence against you. You need an attorney, like Tim Huey, who has the reputation, knowledge, and experience needed to defend your specific case. An attorney’s reputation, knowledge, and experience are crucial to getting the best possible outcome for YOU. DUI arrests happen every day to all types of people, from all walks of life. Despite their frequency, however, in truth, OVI cases are some of the most complex cases in our criminal justice system, with a potential for a lifetime of consequences if not defended correctly. Lots of lawyers “handle” DUI cases, but precious few have the reputation, knowledge, and experience to properly defend a case. Attorney Tim Huey has a hard-earned reputation of preparing every case as if it is going to be fully litigated, including trial. 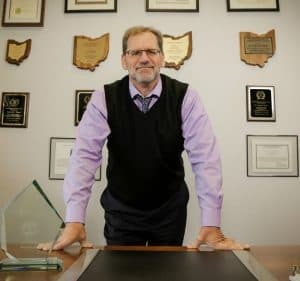 His successful litigation of countless issues relating to OVI in Ohio, including several times in front of the Ohio Supreme Court, has earned the respect of prosecutors across the state. Due to his previous successes, Mr. Huey’s evaluation of OVI cases carries significant weight with prosecutors, which is critical in negotiating successful resolutions with prosecutors and judges throughout the state. Successfully negotiating a case requires more than just mere negotiation skills – it requires the attorney to have fully analyzed every facet of the case in order to point out where the prosecutor’s weaknesses are. Even supposed “slam-dunk” cases can be successfully negotiated when an attorney with a reputation for successful litigation points out previously unnoticed flaws in the case. A DUI lawyer’s specific training in the science behind drunk-driving cases is critical to ensuring that they understand every detail of a complex case. As discussed above, so much more goes into an OVI case in Ohio beyond mere general legal skills. In order to properly evaluate the case, your lawyer must also have a deep understanding of the evidence against you, which includes everything from field sobriety tests to chemical tests of your breath and blood. Mr. Huey has spent his entire legal career advancing his understanding of these supposedly “fool-proof” tests and has discovered a number of scientific inaccuracies with these tests. In fact, he led the charge in a seminal case, State v. Lancaster, in getting an entire type of breath machine, the Intoxilyzer 8000, declared to be not scientifically reliable. The evidence against you is not infallible, and you need a lawyer with a lifetime of knowledge to fight these tests for you. Of course, when hiring a lawyer, you will want to know if the lawyer has successfully handled cases like yours. In the case of Mr. Huey, it is simple – in his 30 years of practice, he has handled nearly every type of OVI situation possible, from vehicular homicides involving breath and blood tests, to felony OVI cases, to the so-called “garden-variety” OVI cases which still present incredibly important issues. Mr. Huey handles cases all over Ohio. In addition, Mr. Huey is routinely hired by other lawyers around the state to assist them in litigating and trying their cases, due to his exceptional trial skills and ability to connect with a jury. OVI cases are too important to trust to just anyone. Contact us now to hear how we can assist you in your OVI case. In the age of the internet, finding the best DUI lawyer for your case might seem a simple, google “best Ohio DUI lawyer” and go from there. However, if do that you will find legions of lawyers who claim that title. These folks can’t all be “the best” or the “the top” DUI lawyer, can they? Moreover, there is a current trend of “buying qualifications”. In fact Better Business Bureau has recently warned consumers to be wary of vanity awards. 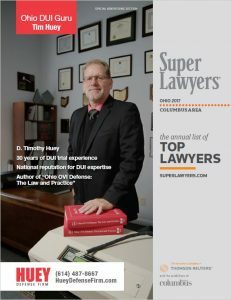 Be very, very wary of any organization that purports to list the “Top 10 Ohio DUI lawyers” or “Columbus Top 5 OVI lawyers” or any variation on that theme. Be particularly wary of lawyers who need to tout these listings as their major credentials – as opposed to legitimate credentials discussed below. Most of these listing organizations are basically fake organizations. Go to their websites and check them out. 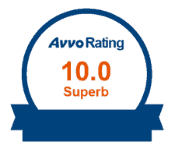 does this organization actually do anything other than make money by purportedly rating lawyers. What is this organization’s real purpose? does this organization or company provide information about how they “select” the top 10, 50, 100 lawyers, or is their selection process limited to the first 10, 50, 100 or so to send them a check? is this a “for profit” as opposed to a non-profit organization or company? Truthfully, if you just look at the websites from most of these organizations you can pretty quickly figure out if it is just a pay-for-credentials scam. If it’s a scam, you are the one they are scamming. Another good hint is whether there are fees to “apply” to be considered. There are a couple of legitimate entities that do seek to rank lawyers based upon peer review, research and actual accomplishments, but they are the minority. 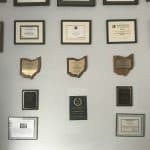 In short, there is only one reason for an organization to claim to be a list of “Ohio’s Best OVI Lawyers” and it is to sell a lawyer a membership or plaque to help make you think he or she is something they probably are not. There are legitimate lawyer awards and legitimate plaques recognizing lawyers – usually for doing something or obtaining some special training. These are usually given by legitimate bar organizations. 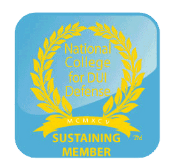 the National College for DUI Defense (NCDD). 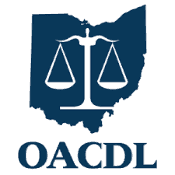 In Ohio, the Ohio Association of Criminal Defense Lawyers (OACDL) leads the field in training lawyers in DUI defense. 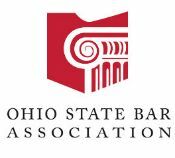 The Ohio State Bar Association (OSBA) and local bar associations, like the Columbus Bar Association (CBA), also put on seminars for DUI lawyers. In the DUI – OVI practice area, there are legitimate plaques and certificates showing the lawyer has completed NHTSA Standardized Field Sobriety Test training or blood analysis training at a facility such as Axion Labs in Chicago or has competed training in Breath testing such as DataMaster factory training. If you are looking for credentials that matter, look for plaques and certificates from the above organizations, groups and training facilities. And when you review our firm’s credentials or look on our walls, that is what you will find. Mr. Huey firmly believes in the training of other lawyers in the field of DUI defense. 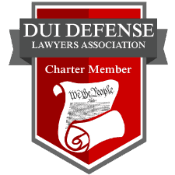 That is why, in addition to his defense practice, he has donated countless hours of his times to working through these legitimate bar associations to help train and teach other lawyers about the complexities of DUI defense. 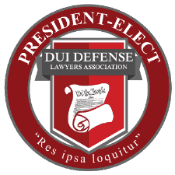 In addition to teaching at countless seminars, Mr. Huey served as the President of the national DUI Defense lawyers Association (DUIDLA) and the Ohio Association of Criminal Defense Lawyers (OACDL). 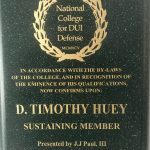 The crown jewel in Mr. Huey’s contribution to DUI defense training is the annual DUI seminar for lawyers that he puts on every Spring. 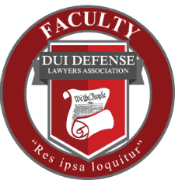 The “OACDL Best in the Midwest” seminar is an amazing resource for DUI defense for lawyers around the country. Mr. Huey also believes in sharing his knowledge. That is why he has given over 100 presentation to lawyers associations and “wrote the book on Ohio OVI Defense“. The fact that other DUI lawyers trust Mr. Huey’s knowledge and experience should be an indication that you can too.